Calling all rugby fans! We’ve got the perfect accompaniment for all fans of the game, both young and old. 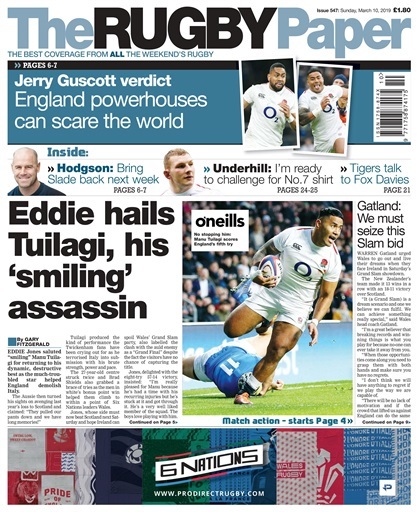 The Rugby Paper is the UK’s best selling rugby magazine bringing you the latest stories, features and reports from the wonderful world of rugby. Whether you’ve been a dedicated fan for years or enjoy the odd game every now and then in the pub - The Rugby Paper magazine will inform, interest and educate you. 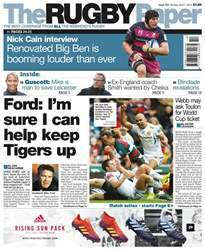 Each week, enjoy articles covering everything you need to know about the game from renowned journalists like Nick Cain and Peter Jackson, as well as columns from former players including Jeremy Guscott and Jeff Probyn. Dive into the latest games and controversies from the past week and get stuck in and muddy with all of the latest rugby news! Get up to date commentary on the latest games, discover the new ‘ones to watch’ and much, much more. 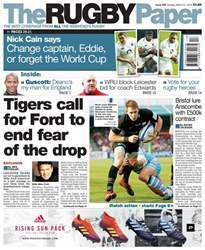 Whether it’s a casual interest you hold in rugby or a longstanding and dedicated one, The Rugby Paper is the perfect weekly accompaniment to help you enjoy and understand the sport that much more. Get all the latest rugby news delivered to your device every single week, including stunning photography and the week’s best action from the Aviva Premier League/Guinness PRO12. There is something for everything in The Rugby Paper magazine and you’ll be the go-to person for all your friends with the latest news and insights. The Rugby Paper digital magazine will provide you with the most comprehensive overview of rugby, and better yet, it’s right at your fingertips every single week. 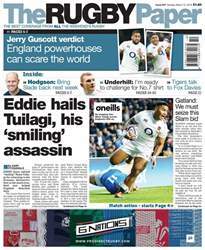 The Rugby Paper covers everything to do with the Rugby Union, from Premiership and RaboDirect right down to the grassroots. 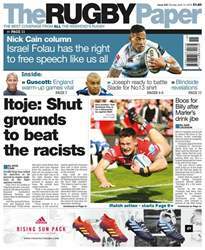 So stay up to date with the latest fixtures, transfers, wins and losses in the Rugby Union by subscribing to The Rugby Paper today! Commentary on your favourite players and ‘ones to watch’! The most comprehensive overview of what’s going on in the world of rugby!